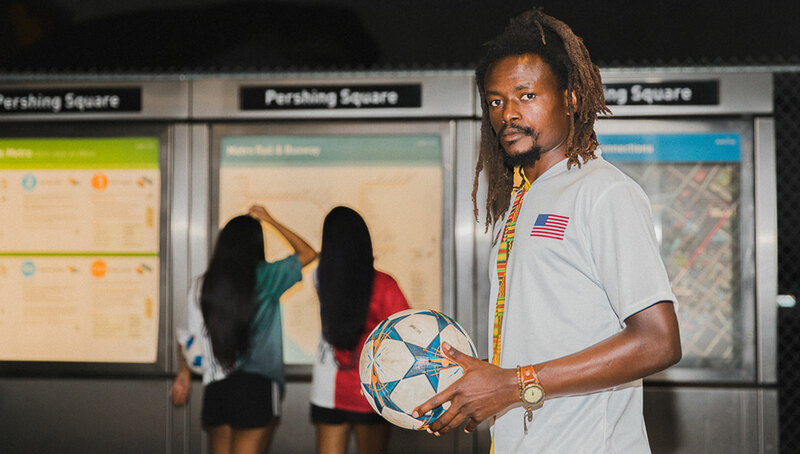 With 133 total countries and territories to choose from, AMOLEP’s dual nationality jerseys provide unlimited combinations and allow just about everyone to represent their single or mixed ethnic background. 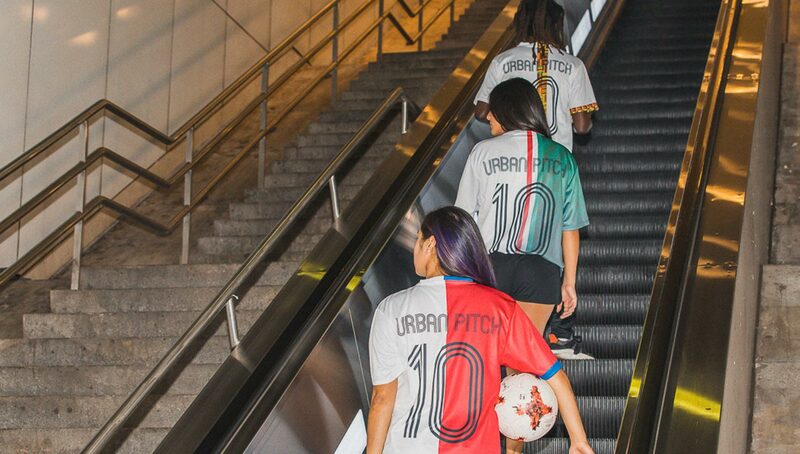 To highlight the kits’ celebration of diversity, we explored the streets of the melting pot that is downtown Los Angeles with multi-national football talents Caitlyn Schrepfer, Lizzy Calderon, and Gilbert Bita. In today’s increasingly multinational world, maintaining one’s cultural identity can prove to be difficult at times. Sure, you can hold on to the beliefs, traditions, and customs passed down from generation to generation, but outwardly expressing your heritage — especially if you have more than one — is a whole other challenge in itself. 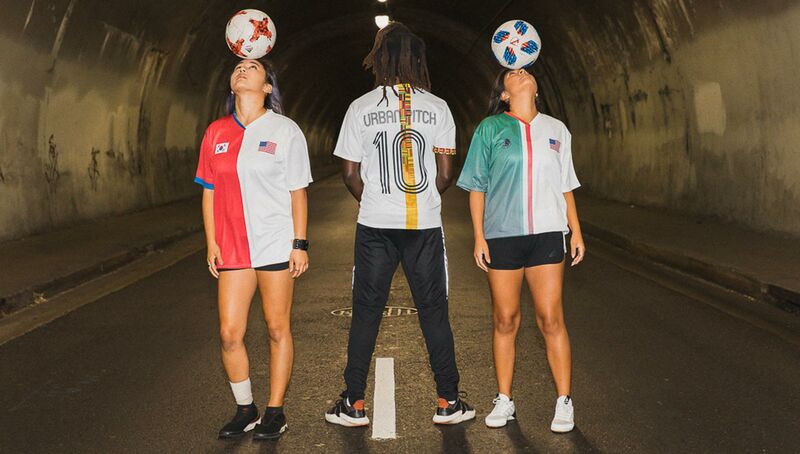 Looking to cut down this hurdle is AMOLEP, a Swiss clothing brand that specializes in dual-nationality jerseys, apparel, and accessories. From Abkhazia to Zimbabwe, AMOLEP has you covered, allowing to represent your ethnic background with pride and a sense of fashionability. 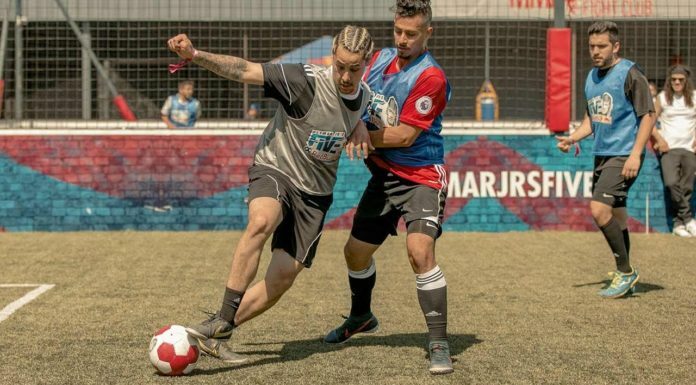 The company was started during the 2014 World Cup, when AMOLEP’s founder — who simply goes by Moritz — found himself caught between rooting for Germany and Nigeria. Born in Nigeria and moving to Germany for school, Moritz identified with both countries, but always found himself choosing one over the other during international competitions. 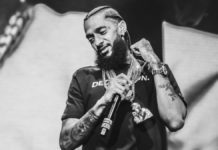 Sure that others had already come up with this simple solution to his dilemma, he scoured the Internet for a service that could cater to his needs, but to no avail. Like any go-getter, he decided to solve his problem himself. 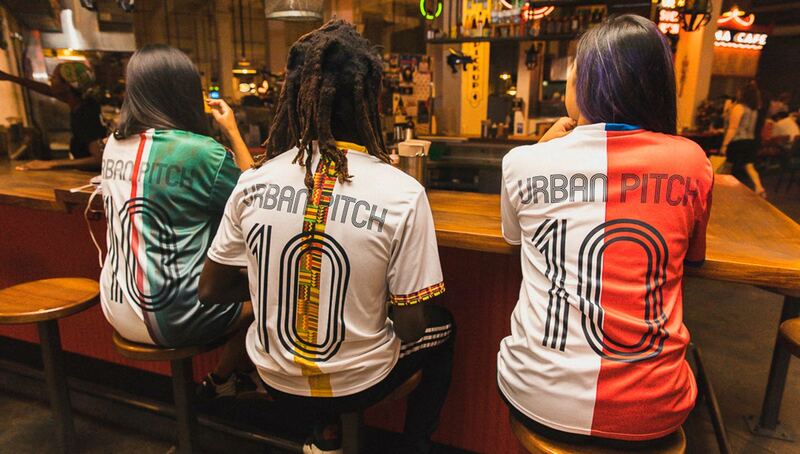 He bought both a Nigeria and Germany jersey and took them to a tailor to get stitched together. 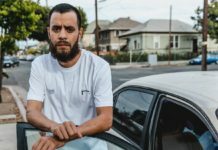 Upon sharing photos of his creation online, he saw that many others like himself had faced the similar struggles in expressing their personal identities. Realizing he had a market, AMOLEP was born. 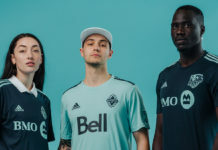 Four years later, the brand’s product range includes football and basketball jerseys, beach towels, infant onesies, and hats, among many others. Above all, AMOLEP gives those with multinational backgrounds a choice — or rather, a choice not to choose. 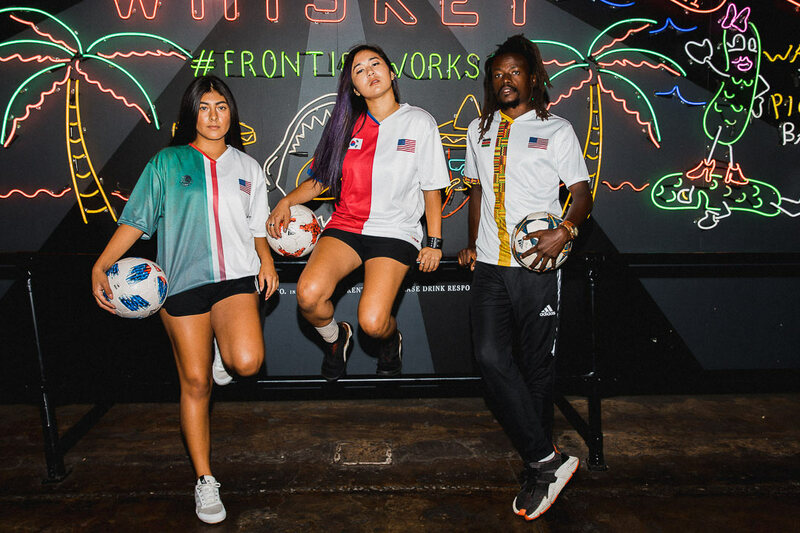 We were able to create a few AMOLEP kits and we shared them with some of our closest multinational friends — Urban Pitch athletes and world-class freestylers Caitlyn Schrepfer and Lizzy Calderon, and street ball extraordinaire and youth coach Gilbert Bita. 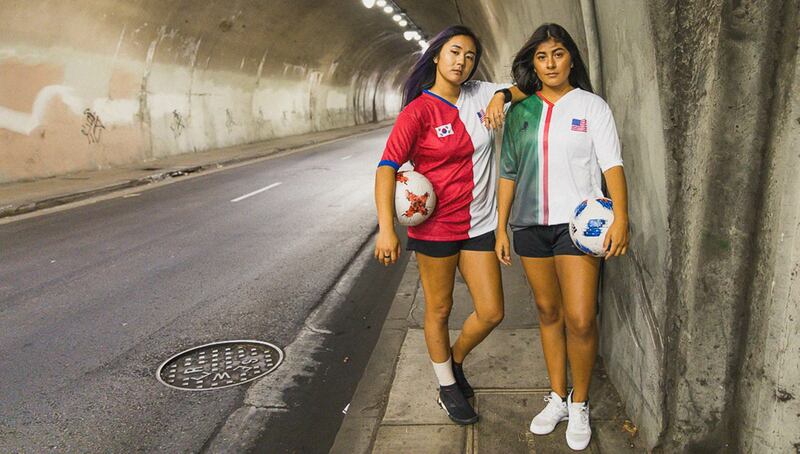 We roamed the streets of downtown LA, one of the most diverse areas in the world, and got their thoughts on the jerseys themselves and what it means to represent their culture. 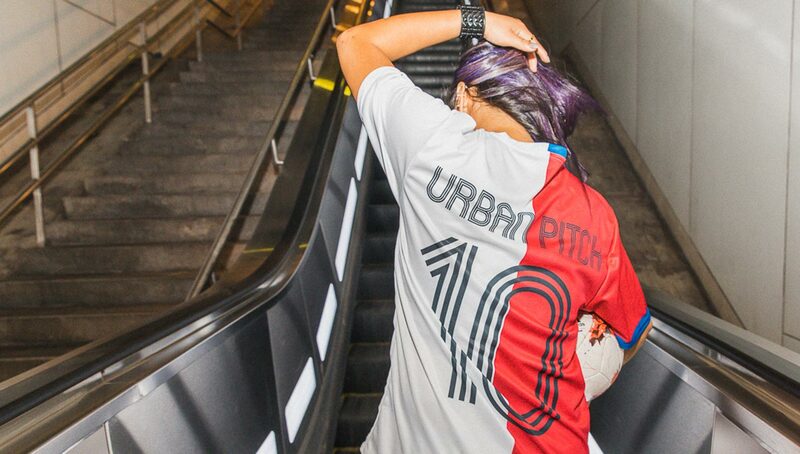 Urban Pitch: How has your cultural identity shaped who you are today? 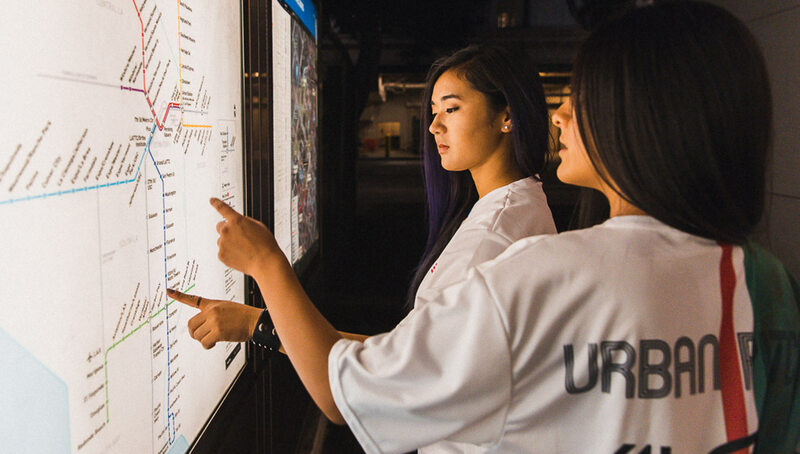 Caitlyn Schrepfer, Korean-American: I would say my cultural identity has definitely had an influence on my street style. I tend to look towards my Korean heritage especially for fashion ideas. Aside from that, in a broader context, it has also influenced who people see when they look at me and how they receive me. This has in turn influenced me because I’ve come to develop a deeper understanding of how people interact, often subconsciously migrating towards similar ethnicities. Lizzy Calderon, Mexican-American: I was born and raised in the United States but my culture played a heavy role in molding me into the person I am today. From my parent’s native language to their perspective on family values, my Mexican heritage influenced the manner in which I walk, talk, and carry myself. Gilbert Bita, Kenyan-American: My culture is humbling and has bestowed a sense of humility in me. As a coach, I pass that along to my players. In what ways do you represent your culture? Caitlyn: I primarily represent my American culture over any other due to having been raised in an American household. As such, I’d say my sense of freedom with my style and presentation of myself heavily represents that aspect of my identity. Lizzy: I represent my culture by speaking Spanish, eating authentic homemade Mexican food, listening to music, supporting the Mexico national teams, celebrating different holidays, and representing my culture in competitions when I have the opportunity to do so. 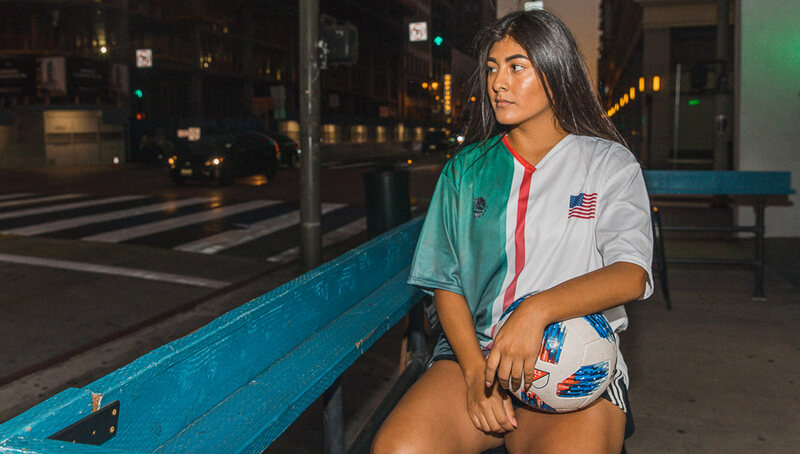 How would you pair the AMOLEP jersey with what you currently have in your closet? 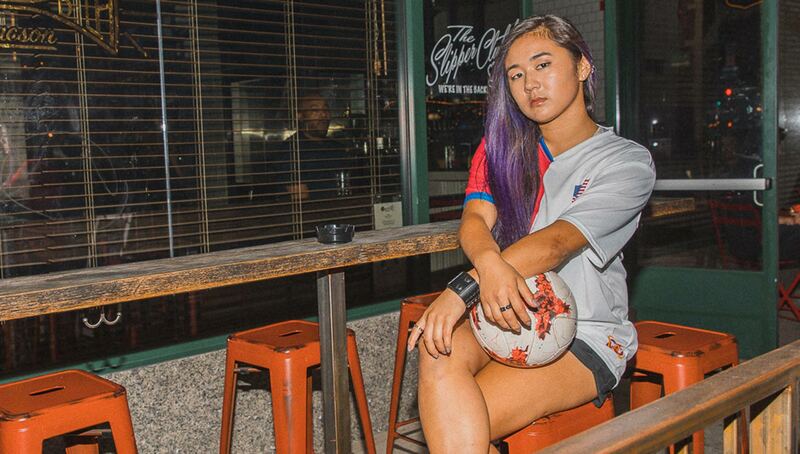 Caitlyn: I love mixing athletic and streetwear pieces, so I’d likely style my jersey with a pair of leather shorts or black jeans and some slick casual sneakers. Lizzy: I would style the jersey with black shorts or black jeans and adidas footwear. A street style. 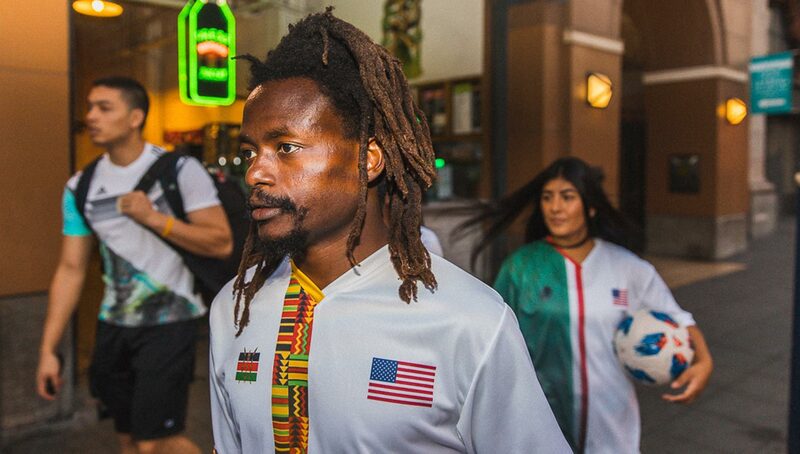 Gilbert: The tee is a great blend of what I have become, representing both of my countries, Kenya and America. It’s an easy mix for my game shorts and chilling wear. I can also blend it with my black or blue jeans. 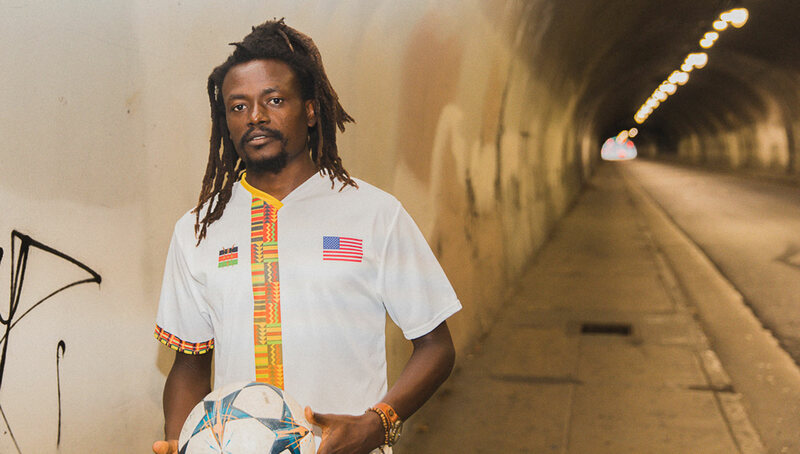 Create your own dual nationality jersey at AMOLEP’s online store.